The main objective of my research is to answer the question how collective memory and local identity intertwine in the Diaspora as well as the home country of the Armenians. What dividing lines can be observed? And can we even assume that there exists a unified Armenian collective memory? Answering this question is all the more interesting because it can resolve universal problems of Diaspora theory and sociology, for which the example of the Armenians is ideal, since they first appeared in various European and Asian regions as early as in the Middle Ages, taking along their identity and cultural treasures, which would be reflected in various ways in the memory of both the Armenian and the local communities upon a synthesis with the individual local societies. The title alludes to two concepts, which are practically the central terms of my research. On the basis of the existing literature, I wish to present the historical background of the emergence of the Armenian Diasporas, as well as address the question of how “collective memory” and “local identity” interconnect in different cases, and how the differences between the Diaspora regions and the home country can be traced. What are the most important sites of memory (or lieux de mémoire)? Does the memory of the Genocide as an identity-forming element and a central issue in the collective memory of Armenians carry the same weight in all cases? While one of the most important elements of Armenian identity research continues to be the commemoration of the Genocide, my paper attempts explicitly and consciously to focus on all other sites of memory, besides this event, which emit an identity-forming energy (both in the home country and in the Diaspora) that eventually defines the Armenian community itself. This question has a special importance in transnational environments; in the case of Eastern Europe, a contrastive analysis of the Armenians living together with Jewish, Polish, Russian, Hungarian, and Romanian groups yields itself readily to our analysis. My hypothesis states that while certain authors elevate the Armenian genocide to the rank of the central element of Armenian collective memory, this simply does not hold for the Armenians in Eastern Europe. Should we, in this light, consider them Armenians at all? Armenian Diasporas have been documented since Late Antiquity, but there have always been great and important differences between the Armenian Diasporas of Eastern Europe on the one hand, and Iran, India, or Palestine on the other. The integration (or, indeed, assimilation) into the receiving communities, had a decisive impact on the identity of the Armenians as well. First they would flourish, and then, especially in Eastern Europe, fully assimilate, even before the idea of “nations” might arise. The Armenian Diasporas of Eastern Europe entered a religious union with Rome; while in the 19th century, belonging to the Eastern (Gregorian, or Apostolic) Armenian Church was the starting point and, often enough, a synonym for the modern “Armenian nation,” among the Armenian Diasporas of Eastern Europe, this is inapplicable due to the aforementioned tendencies to catholicize. The Genocide is, in fact, the commencement point of the modern Armenian diasporas, insofar as it launched an enormous wave of migration. Among the Armenians, this event is also an important milestone on the way to the birth of the concept of the modern nation, which would develop at an incredible pace after 1915. Transnationality has always played a crucial role here, but the emphases have shifted more than once. Another point of this paper is to characterize the connections between locus and collective memory in terms of the Armenians; that is, to develop the function of “locus” in the social construction of the representation of the past as well as the investigation of its effects. This draws the attention to Diaspora experiences and Diaspora memories, for the relation between “memory” and “locus” can best be formulated in a transnational constellation. Egyptologist Jan Assmann, in his renowned book Das Kulturelles Gedächtnis, Schrift, Erinnerung und Identität in früheren Hochkulturen, investigates what role memory plays in the formation of cultural identity. Assmann and Maurice Halbwachs developed a conceptual framework that has had a lasting effect not only on the science of history but also on cultural sociology, down to the present day. “Collective memory” evolves within a social body or group with the use of symbolic signs and practices. This concept, first used scientifically by Maurice Halbwachs, can be applied to memory as has existed for a long time. Halbwachs believed that the empirically researchable collective memory is a group memory: institutions and other bodies (e.g. nations, states, and churches) have no memory but enable the “practice” of collective memory via signs, symbols, texts, images, rituals, sites of memory, and memorial monuments. Collective memory is characterized by stability. Collective memory provides an opportunity to publicize personal sites of memory, e.g. in museums, or even in books or memoires. “Individual memory” is more like a “frozen memory” in which members of a group (sharing the basis for experience) exchange their personal experiences in various perspectives on a regular basis. Without collective memory, no individual memory would exist. Halbwachs’s and Assmann’s theories are not only theories of “memory” but of “forgetting,” too. What has no more connection with the present is forgotten. Assmann introduced two further terms here: “cultural memory” and “communicative memory.” Cultural memory links to the distant past, to tradition, heritage, and symbolic figures. This form of memory ranges over exodus and exile. On the contrary, communicative memory can be traced back to 80 or 100 years (3 or 4 generations) and is primarily based on the personal remembrances and experiences of people still alive, as well as individual biographies. Local identity construction is related to collective memory; indeed, local identity enters a continuous and permanent interaction with collective memory. The investigation of local identity can be interpreted in sociological, psychological, and historical perspectives. In a social psychological context, identity comprises a set of various characteristic features which distinguish individuals from one another. One can discuss an “I” identity, but in the case of groups, the “we” identity is predominant. Hall Stuart describes identity as a process that is embodied in the exchange and communication established by institutions, discourses, cultural practices, and communications. The identity of an individual always has a view of history and displays various factors such as social belonging (confession, religion, gender, and social layer), individual prehistory, generation, and a destiny shared with one’s peers. Pierre Nora’s term of “lieux-de-mémoire” (sites of memory) is no less central in identity construction. A site of memory is, as a matter of fact, the site of a social group’s collective memory that crystallizes in one particular point. The point may be a location, a date, a person, or whatever serves as a point of identity crystallization for the community. My paper seeks to answer how far collective memory influences the identity of local communities, groups, or even an entire society. How do collective memory and local identity relate to one another? After giving an overview of the theoretical questions, I proceed basically to contrast four social groups. In the centre of the investigation of Armenian identity and memory, what else could one posit than Armenia itself? At the initial stages of the research, however, one must record that collective memory in Armenia breaks down into several layers. Commemorating the genocide as, as stated above, a central point of Armenian identity construction, displayed one turning point up until 1965. For the 50th anniversary of the Genocide of 1915, Soviet Armenia erected a large-scale monument that launched a series of mass commemorations. These events marked the nationalization of historical identity. State censorship would subsequently allow greater room for “nationalist” writings in the printed press and among book publications. The other point defining the layers of identity and memory is the fall of the Communism. After 1989/90, one could freely discuss identity and nation, while the earthquake at Gyumri and the Karabakh Conflict had a deep and lasting impact on the collective memory of the population. I ask the question what other sites of memory, in addition to the Genocide and the fall of Communism; can be presented in an especially transnational viewpoint. Javakh is a region of Southern Georgia, near the Armenian border, where the Armenians constitute a local historical Diaspora. Certain towns and villages, however, have an Armenian majority. In terms of Javakh, terminology plays a special role; indeed, it is questionable whether the concept of Diaspora may be applied at all. The problem is the same as with the Armenians in Eastern Turkey; they have never described themselves as spyurks (diasporas in Armenian), considering Eastern Turkey as their homeland that they have never left. In their own view, they have always been “at home” here. Armenians have been documented in Eastern Europe – the Crimean, Galicia, Poland, Transylvania, Romania, Moldova, and Russia – since the Middle Ages. These Armenian groups have by now almost fully assimilated to the receiving communities; their historical heritage is richly recorded in the expert literature. Conversely, 20th-century waves of migration have introduced ever newer newcomer groups, which have brought along such elements of identity which had been completely absent from those who had a historical precedence in the given regions. This led to a local conflict of identity whose roots, I believe, are to be found in the divergences within the collective memory. At the same time, one must also analyze how far collective memory and local identity had incorporated elements from neighbouring peoples or communities living together with the Armenians. How far would shared sites of memory (lieux-de-mémoire) emerge, for instance, within the multinational population of Lvov? Within the Western European Armenian Diasporas, collective memory fully emerged and solidified in consequence of the exodus of 1915. The national interpretation of history in these Diasporas is largely connected to the ideology of the Dasnaktutjun Party, whose representatives created both historical and autobiographical works. I am especially interested in what a rather “new” Diaspora that emerged after 1915 considers its identity, how it remembers historical data, how it expresses its Armenianness in a day-to-day context. Do they have rituals that they celebrate? In Berlin, one can encounter the presence of both the refugees fleeing from the Genocide of 1915 and the most recent waves of immigrants. Artinian, Vartan: The Formation of Catholic and Protestant Millets in theOttoman Empire. In: Armenian Review 28 (1975), 3-15. Hartmann, Elke: „Havadarim Azke“ ou Anor Yerespokhannere[eng.]. In: Datev Hayakidagan Darekirk 1 (2008), 144-206. A very rich bibliography of these basic concepts is available. Therefore, I do not wish to go into too much detail about them in my research proposal. Asmmann, Jan: Das kulturelle Gedächtnis. Schrift, Erinnerung und Identität in frühen Hochkulturen. München, 1999. Halbwachs, Maurice: Das kollektive Gedächtnis. Frankfurt am Main, 1991. Pethes, N. – Ruchatz, J: Gedächtnis und Erinnerung. Ein interdisziplinäres Lexikon. Hamburg, 2001.308-310. Georgi, Viola: Enthliene Erinnerung. Geschichtsbilder junger Migranten in Deutschland. Hamburg 2003. S. 93. Stuart Hall, “Cultural Identity and Diaspora,” in Rutherford (ed. 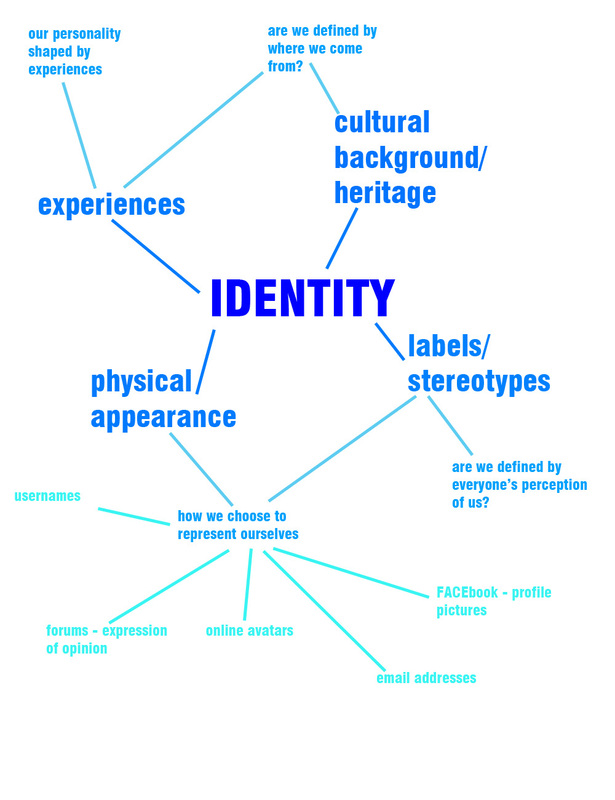 ), Identity, Community and Cultural Difference (London, 1990), 222–237. Georgi, Viola: Enthliene Erinnerung. Geschichtsbilder junger Migranten in Deutschland. Hamburg 2003. S. 27. Pierre Nora – Étienne François: Erinnerungsorte Frankreichs. München, 2005, Pierre, Nora: Between Memory and History: Les Lieaux de Mémoire. In: Representations 26. (1989) 7-24. Dufoix, Stéphane: Diasporas. In: Robertson, Roland /Scholte, Jan Aart: Encyclopedia of Globalization. Band 1. 2006. S. 311-316. Oder: Khachig Tölölyan: The Contemporary Discourse of Diaspora Studies. In: Comparative Studies of South Asia, Africa and the Middle East 27/3. (2007) 647-655., Walter Connor: The Impact of Homelands upon Diasporas. In: Gabriel Sheffer (Hg. ): Modern Diasporas in International Politics. New York, 1986. S. 16–46. John Armstrong: Mobilized and Proletarian Diasporas. American Political Science Review 70 (1976) 393–408., Luigi Luca Cavalli-Sforza und Francesco Cavalli-Sforza: The Great Human Diasporas: The History of Dispersion and Evolution.Wesley, 1993. Steven Vertovec & Robin Cohen (ed. ), Migration, Diasporas, and Transnationalism (Northampton, 1999), 215–251. Björkland, Ulf: Armenians of Athens and Istanbul: the Armenian diaspora and the ’transnational’ nation. In: Global Networks 3 (2003) 337-354.